Thinking about visiting Grace Fellowship? : You don’t have to do anything – come as you are! Grace has a casual dress code and a grace filled atmosphere where everyone feels accepted, no matter what they have done or where they have been. 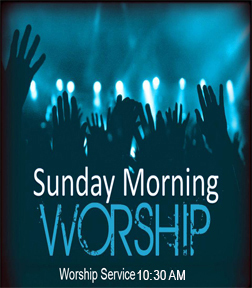 The Sunday morning 10:30am service lasts about one hour and fifteen minutes including great live worship music & encouraging Bible-based teaching. There is safe and fun Nursery care provided for children from birth to pre potty-trained and Children's Church (potty trained through 5th grade) where your kids have a blast learning about God's Love for them. 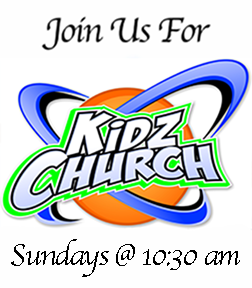 Both of these kids ministries are provided during the Sunday Service. If you’d like to learn more about us or plan a visit, just let us know, we'd love to answer any questions you might have: (406) 328-7435. 9am taught by Joanie Matovich. And pre-service prayer immediately following. Click on the Speaker to listen to the current or past sermons. We support several different Ministries throughout the year. Stillwater Youth Center, La Vie. Contact the Church for details and how YOU can help. If you are in need of prayer for yourself, a loved one, or need prayer for someone you know, please click on the words "Prayer Request" above. With Joanie Matovich – Morning study will be 9:30am, evening at 7:00pm. Both will be held at the Stillwater Youth Center in Columbus. If you were not in Joanie’s Bible Study last year and would like to this year, please let her know which one you would like to attend. They will be studying the Gospel of John. First Sunday of the month is the push for donations. The food is collected that week. Place the items you bring in the boxes under the table by the East door entrance. Thank you for your generosity- it’s making a difference!! Let’s really make a concerted effort to fill this box and help meet a real need in our community-Thanks! 	Men’s Bible Study is on Thursdays at 7pm also at SYC. See Justin Wayland for details. from 10:00 to 10:15AM immediately following the Bible Study. Please feel free to join us! donations may be made in memory of a loved one, or for any one of several occasions. There are cards in the back by the sound booth! Check it out! Bring your spare change you’ve collected during the month and put into the designated jar anytime. As a reminder, SYC will take your empty ink cartridges from your printers. Thank you!! Every little bit helps!